If you garden, you know how unpredictable productivity can be. 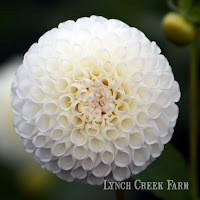 Some things flourish more than others. Dig your dahlias, for instance, and you'll find that while some varieties didn't produce an extraordinary number of tubers, others went wild and developed exuberant root clusters with a dozen or more new tubers. Another year, it might be an entirely different variety that excels in productivity. That's the case at Lynch Creek Farm, too, so the folks at the farm sometimes find themselves with more tubers of some varieties than they anticipated. 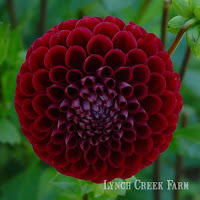 That means there's an overabundance of dahlia tubers of beautiful varieties — happy, healthy tubers that need good homes. 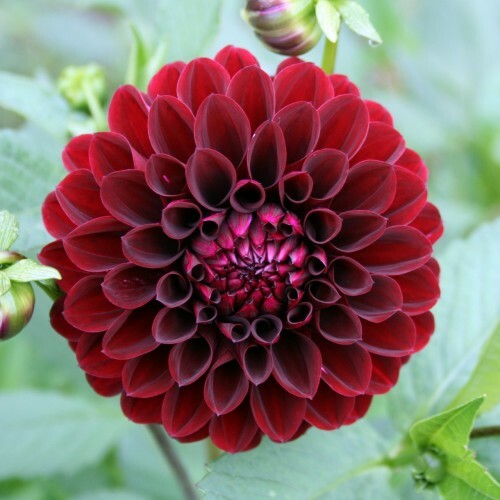 The good news is that there's savings for you gardeners involved with this whole process. Starting now, the Farm is offering the Deal of the Week: five or six varieties on sale at half price. 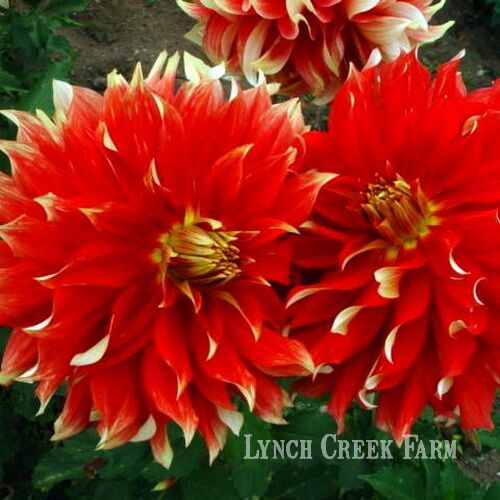 That's right, 50 percent off on new orders of selected dahlias. You can check in to the Web site weekly, or you can get regular notifications if you "like" Lynch Creek Farm on Facebook. 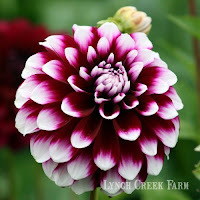 The current offering, for instance, includes six stunning, top-selling dahlias: Danjo Doc and Cornel, two luscious dark red dahlias (Doc's a formal decorative dahlia and Cornel's a ball dahlia, just a little deeper and rounder in form; both have great substance and produce flowers like mad); Amorous, a variegated formal decorative with strong stems and intriguing color variations; brilliant Bodacious, a 10-inch "dinner plate" dahlia in bright red with yellow-orange tips; White Nettie, a miniature ball dahlia with abundant upward-facing blooms; and Ryan C., a burgundy-and-white formal decorative that's a real show-stopper. 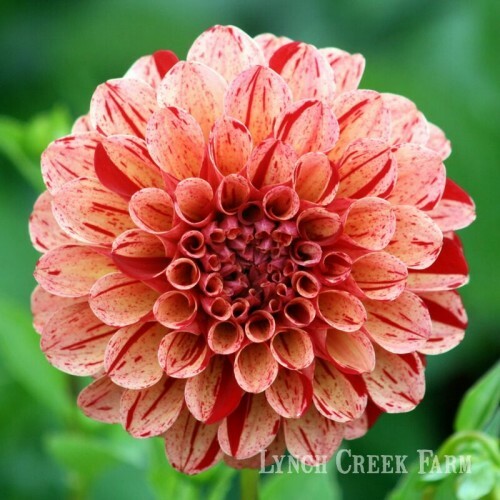 Watch for those weekly offerings as the season progresses, while you're enjoying the seasonal changes and the move toward springtime, longer days, and planting time. Remember that these half-price tubers are premium tubers and great for gardening on a budget. And as the season progresses, stay tuned to this blog for more happenings at Lynch Creek Farm.